CALL FOR FREE CONSULTATION TODAY! Anyone who has a criminal allegation lodged against them, whether for DUI, possession of a controlled substance, or another category, is facing potentially severe and long-lasting consequences. But when your livelihood depends on the retention of a California professional license and that license is threatened by a criminal charge or conviction, the consequences can be devastating. At California License Attorney, we understand how hard you have worked to gain the expertise necessary to deliver high-quality service to your clients in your chosen profession. And besides the educational background and the acquisition of practical experience, you also had to go through the license application process, involving much paperwork, a state-administered exam, and an expensive fee. And you then had to renew your professional license periodically to maintain it (paying a new fee) and do so on time to avoid a penalty. Finally, we may note that many hold multiple professional licenses, which makes the licensing process all the more complex, time-consuming, and expensive. And despite all the hard work, talent, and expense it takes to gain a professional license, but a single mistake can put that license in jeopardy. And even false allegations, if believed by the court and the relevant board, put you at risk of losing your professional license and hurting, or even ending, your career. We at California License Attorney fully understand what is at stake when your professional license is on the line, and we also fully understand the California Penal Code as it relates to these matters. We possess an intricate knowledge of the ins and outs of California licensing laws and all laws that affect professional licenses, along with full familiarity with the inner workings of local California court processes in these kinds of cases. 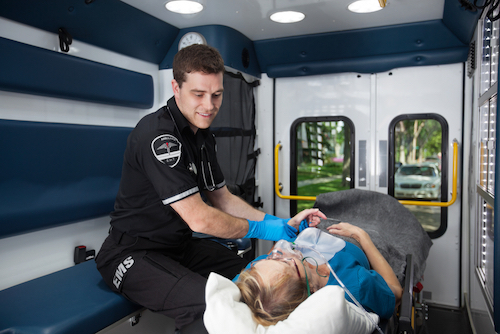 Our expertise cover a wide range of professions, and we are always ready to assist you in your hour of need. For a free, no-obligation consultation with a skilled California license defense attorney, do not hesitate to contact us 24/7 at 888-959-0068. 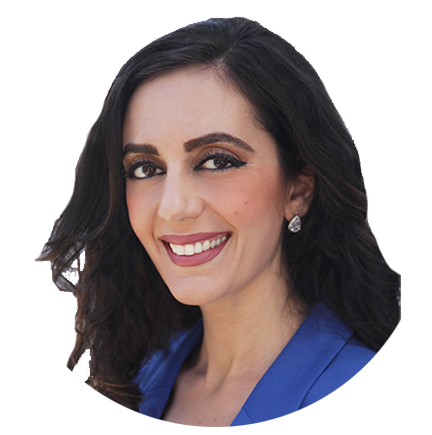 Click here to meet your attorney Negin Yamini regarding your license. At California License Attorney, we are committed to defending the rights and the professional licenses of hard working people throughout California. Our experience protecting professionals from losing their licenses is unmatched and you won’t find a more knowledgeable and diligent firm. No matter what city or what type of license throughout California, we can help. In California Penal Code Section 23, it is provided that the agency that issued your professional license can opt, of its own accord, to appear in court and furnish evidence against you if you are facing a criminal allegation. Often, these allegations drug or alcohol related or involve an issue or malpractice or that directly impacts your ability to carry on your profession. The agency can also be ordered to appear in court for such purposes by the presiding judge. PC 23 often has the practical effect of members of state licensing agencies appearing in court to recommend a suspension, revocation, or other disciplinary action. They may also suggest tying such actions to the granting of bail/probation. Thus, it is critical to have an experienced license defense lawyer on your side and at your side at a PC 23 hearing. We know how to counter-balance the evidence brought by the licensing agency under PC 23. Our attorneys know how to negotiate to protect your license and your future as well as to include rehab and real substance abuse help in any probation plea if and when appropriate. Any state agency or board with authority over your professional license can initiate an investigation should they suspect you of violating the law or the standards of conduct associated with your profession. These investigations can ultimately lead to a citation and/or fine or to the filing of a formal accusation. Any the record of any such actions as these would become publicly posted online, potentially affecting your ability to gain future clients. At California License Attorney, we can take immediate action during the investigation stage to help prevent a citation or accusation from being filed. We can also give you sound and timely advice to prevent you from accidentally incriminating yourself or taking positions that needlessly limit your available defense strategies later on. If you have received notice of a formal accusation being filed against you that could lead to professional discipline or the revocation of your professional license, waste not time in contacting us for help. Unless you act before the "time limit" applicable to your license runs out, you could lose the right to defend against the accusation. A formal accusation alleges you violated the law in some way that closely relates to your profession and can be filed after you are convicted of a crime or apart from a separate criminal case. Our experienced legal team at California License Attorney will waste no time in filing a Notice of Defense, gaining access to the evidence being used against you, and formulating the best strategy for saving your license. We will attempt to show the case against you is weak and get it dismissed, negotiate a favorable settlement, or proceed to the administrative hearing and fight for an acquittal, depending on which approach lies in your best interests. At the administrative hearing itself, we will apply our extensive knowledge of the unique ways in which evidence is weighed and decisions are rendered at such hearings. We have many years of experience at successfully arguing for the defense at administrative hearings, and we will know how to expose weaknesses in the case brought against you and find exculpatory evidence in your favor. If a state licensing agency reuses to issue you a professional license, ignores your request, revokes your license, or takes a disciplinary action against you, you can often appeal the decision. In order to avail yourself of the opportunity to appeal, you must submit writs of mandamus and other very involved paperwork in the exact manner prescribed by law and within a limited time period following the decision you are appealing. It would be almost impossible for a novice to accomplish this, but we at California License Attorney can do it both accurately and efficiently. When a state agency has given you a citation and/or fine for allegedly failing to comply with the law, it may be tempting to ignore it since at least your license is still secure. But the truth is that citations go on your permanent record and can also form part of the basis for later actions taken against you. Contact us at California License Attorney, and we will move quickly and do everything possible to prevent citations or get them removed from your record. Another area of our expertise is in defeating requests for an ISO (interim suspension order) to be filed against you. Sometimes, an ISO will be issued while an agency investigation or a criminal case in California court is in process. However, it is often possible to get these interim suspensions removed so you can continue your practice uninterrupted and later fight to prevent a revocation at the administrative hearing. We can also assist you in preventing or overcoming denials of your application for a new professional license or for the renewal of an existing license. First, we can sometimes solve the problem for you simply by gathering more complete information that will prove you are truly eligible for the license or correct any technical issues preventing its speedy approval. If your license application has already been turned down, we will investigate the Statement of Issues filed against you and find ways to clarify or challenge these issues one by one until you application is finally approved. If you have already lost your professional license due to administrative actions, we at California License Attorney can help you through the process of getting your license reinstated. Alternatively, we can petition to have the disciplinary action against you modified so as to reduce the penalty. Both petitions for license reinstatement and penalty reductions have very strict time limits, so you should act quickly. But don't assume that losing your license must be final. It is often possible to get a professional license reinstated if you know how to file the right paperwork in a timely fashion and fight any legal obstacles that may come up in the process. We understand how these matters work and can get your license restored if at all legally possible.